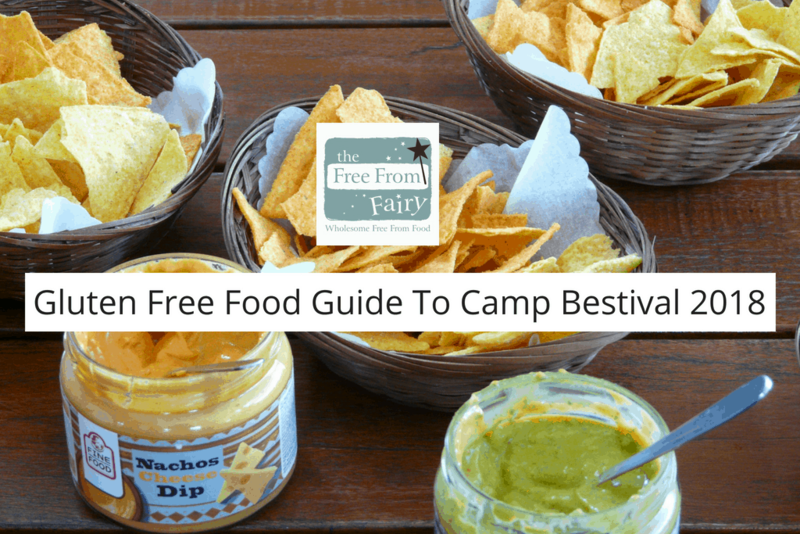 Gluten Free Food Guide To Camp Bestival 2018 | The Free From Fairy. Today I’m delighted to share with you Mr M’s gluten free food guide to Camp Bestival. Mr M is the music boffin here in the fairy household. If there is something he doesn’t know about music then it isn’t worth knowing. He is the music geek where I am the food geek. Between us we’re pretty good at the music and food rounds of pub quizzes. Ask us other questions and we’ll decline. So you’ll probably be able to gather from this that we are extremely excited about visiting Camp Bestival. Good music, good food and camping in one place for a whole weekend? Oh yeah! The last time we went to a festival was our trip to Beautiful Days when the kids were still very small. Our darling little ‘Sunshine’ kept running off making it rather stressful. Before that, I was 8 months pregnant with ‘Roo’ and it was a very muddy Glastonbury (when wasn’t Glastonbury festival muddy if we were there?!). Anyway, this time we will all be going as a surprise for the kids. Some serious research has been undertaken by Mr M to find where we’ll be able to buy food for our little coeliac. Normally when we camp we cook for ourselves. In fact a few years ago I wrote this free from camping survival guide. 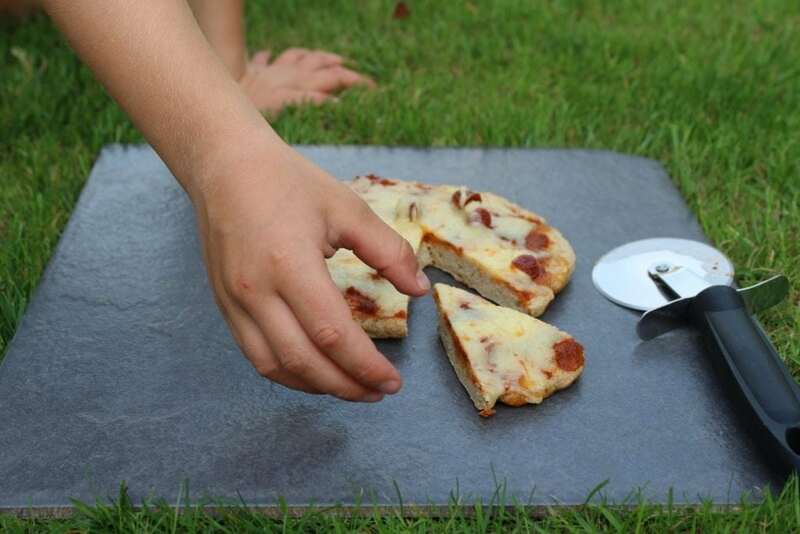 I’ve even created a pizza that can be made in a frying pan. 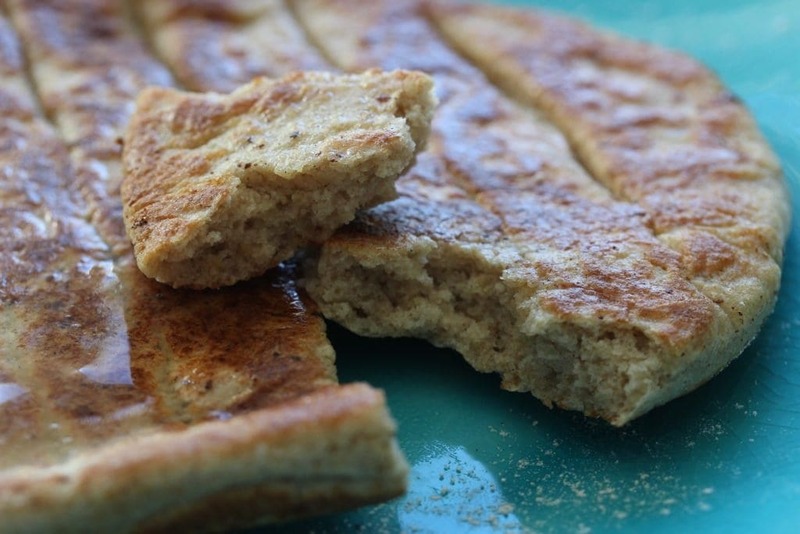 And naan bread that can be whipped up with just three ingredients in a frying pan too. They make a wicked wrapper for whatever filling you fancy. But this time it would be nice to have an actual break from cooking, so I’m hoping that some of these places that Mr M has found will do us proud. Of course at this point in time we have no idea what food these outlets will be serving but fingers crossed they’ll bring something suitable. In the ‘old days’ (ie the 1990’s), managing the munchies at a music festival meant bringing with you enough camping equipment to at least rustle up the hot water for a Pot Noodle. Or it meant living off doughnuts, cider and promotional packets of new-fangled Doritos. Thankfully nowadays festival food can be fantastic. 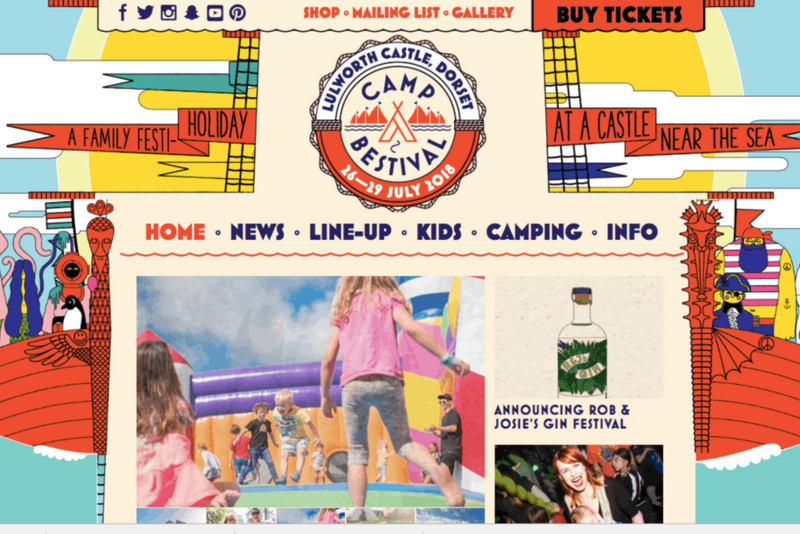 This year Camp Bestival, taking place at Lulworth Castle in Dorset between the 26th and 29th July, have surpassed themselves. Best of all there are a number of free-from-savvy foodies with stalls offering everything from Asian steamed buns to peanut butter and chocolate fudge cake. As ever, remember if you are coeliac to check with each stall-holder about cross contamination. If they offer gluten and gluten free food then it’s always good to quiz them on how they are preparing it. Aranchi Brothers offer wheat free vegetarian risotto balls, fried in rice flour. KraPow specialise in Thai street food with delicious sounding stir-fries and soups which are nut, dairy and gluten free. Le Boa serve gluten free Tiwanese steamed buns stuffed with either braised pork belly, crispy fried chicken or tempura battered mushroom which sound amazing. Melter Meatballs are made to make the mouth water with gluten free meatballs that are served with mashed potato! Milgi do ‘plant-based eating’ and will hopefully be bringing some of their gluten free nachos and baked carrot falafels from their restaurant in Cardiff. The good old Women’s Institute will have a tea tent offering beverages, sandwiches and cake, with gluten free options. Young Vegans do cruelty-free pie and mash including four gluten free options (two savoury and two sweet) including a dark chocolate mud pie topped with sea salt and pretzels!! Zoe’s Ghana Kitchen rustles up wonderful-sounding West African food. Zoe will be hosting a pre-booked supper club over the weekend with a menu offering a plethora of gluten free goodies. Hopefully many of these will also be available on her regular stall. Camp Bestival will also be hosting a Dorset Farmer’s Market which will include the likes the Free Range Salad Company, Dorset Shellfish Ltd. and Berry Hill Farm who will hopefully be offering plenty of naturally gluten free food. Click here for a full list of food and drink traders at this year’s Camp Bestival. Or here if you’d like to see all the wonderful acts that will be at the festival. If you’d like to buy tickets they are still available and they even offer a payment plan. I am a Bestival Ambassador which means I have been given free tickets in return for helping to promote the event. An excellent comprehensive summary, also known as a ‘survival guide’. I owe the WI my life after they fed us last year shortly after arrival. One thing that I am yet to find, is GF beer for the celiac grown-ups, this doesn’t appear anywhere, but hopefully some entrepreneuring soul will latch onto this!… great write up. Hi Ant, wow that’s crazy isn’t it? I will contact the festival and point this out. Perhaps they can pass it on to the people who run the bars. What a think to miss!